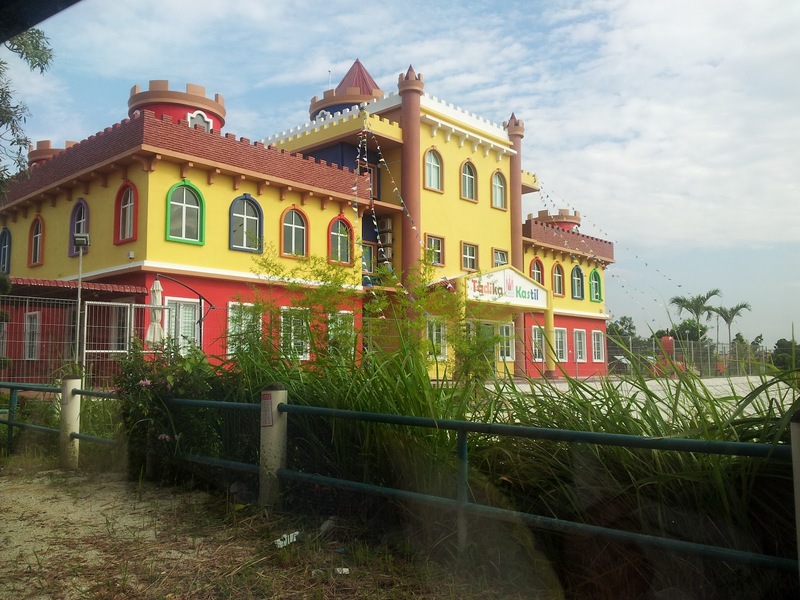 We were driving around & saw this very interesting building near my house during my recent trip back to JB. I was very curious & thought that this castle like building was some sort of a children amusement park or something. Guess what? It was actually a kindergarden with an outdoor swimming pool. When my children saw this kindergarden, they were asking me if they can be transferred and study in JB coz they felt like the prince or the princess going to the castle school for studies *shake head*. Wow! What a nice kindergarten! I think every kid wants to transfer there now.. haha.